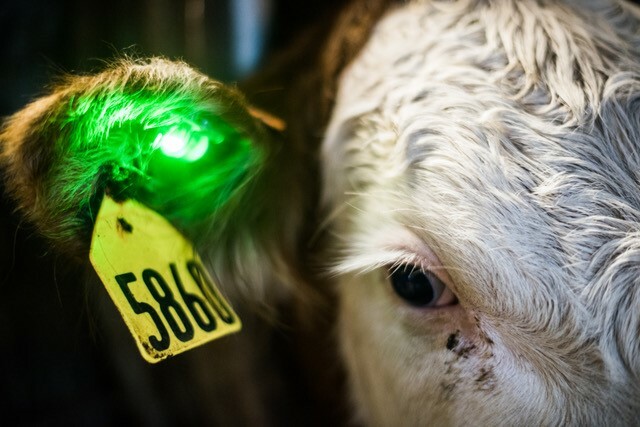 Australian ID start-up Provenance4 is about to launch a biometric livestock ear tag that uses a bright green ‘day and night’ LED light to alert managers to individual animal illness. The Geelong-based company has signed a distribution agreement for Australia, New Zealand and the Asia-Pacific with the tag developer QuantifiedAg from Nebraska, US. Provenance4 managing director Stewart McConachy said the tag, to be launched early next year, would be a boon to the feedlot sector. The system works by tracking individual animal temperatures and physical activity. “Pulling sick cattle out of large feedlots for treatment can be time consuming and this is once a livestock manager has actually identified that an animal is sick,” he said. QuantifiedAg has developed the technology that includes an LED light that flashes bright green when an animal is sick, as identified by body temperature and physical activity. The concept has been tested in US feedlots and is completing first-stage trials involving more than 800 head of cattle in four states in Australia. Stage two trials will enhance the data collection process and validate the benefits to feedlot operators. Mr McConachy said feedlots were normally highly organised and pen riders usually knew which animals were in which pens. Cattle also tended to ‘hide’ their symptoms from humans, which often meant their illnesses was not picked up until late in the process. The new QuantifiedAg ear tags monitor cattle 24/7 and therefore, pick up illnesses sooner than humans might. To minimise the infrastructure requirements for the system, the designers have developed their own base-station that is installed in the cattle operation. The base-station sends the data from each ear tag to cloud servers. “That is where the bulk of data processing takes place and vital information is relayed back to the cattle manager via a web-based software dashboard,” Mr McConachy said. The system compares individual animal data responses. The antenna and base station are installed with a tagging tool based on individual property requirements so managers can select the number of animals to be monitored. Australian livestock farm management software developer AgriWebb has received a $14 million capital injection through the sale of a minority stake in the business to a global investor in and developer of agricultural technology. Under the deal, UK based Wheatsheaf Group has taken a stake in AgriWebb. Wheatsheaf directly operates, invests in and helps to develop businesses in the food and agriculture sectors. The deal includes AgriWebb’s acquisition of the UK-based livestock and dairy software FarmWizard from Wheatsheaf. 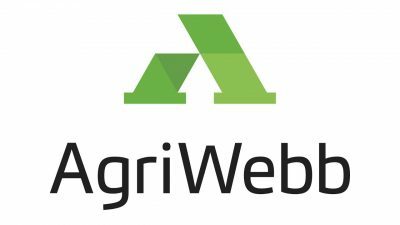 The development positioned AgriWebb to develop a more advanced farm management product range that will merge FarmWizard’s dairy and individual animal management functionality with AgriWebb’s existing cloud-based livestock herd management software, the company said. “With the digitisation of agriculture on the rise, this product combination will provide the first-of-its-kind solution to solve for the ongoing needs of livestock producers and supply chain enterprises, enhancing AgriWebb’s ability to help the sector become more efficient, competitive and productive,” it said. AgriWebb CEO Kevin Baum said the business was proud that Wheatsheaf had recognised its expertise and potential in this field, and was committed to investing in Australian farmers. COO of the Wheatsheaf Group, Anthony James, said his company took an innovation-led approach to identifying, investing in and helping to develop product or service-led companies that have the potential to make a material difference in improving the efficiency of food production. “We see AgriWebb as a global leader in farm management technology and look forward to working with the AgriWebb team to further our mutual goals of improving livestock production around the world,” he said. Western Australian farm groups and agricultural colleges can help to drive the next leap in agricultural productivity improvements under a new program to accelerate adoption of new digital technologies. The McGowan Government’s Internet of Things (IoT) DecisionAg Grant Program will provide $500,000 to stimulate development and use of digital agricultural technology by WA’s local farm businesses. Matching funds will be available for successful applicants to trial internet-based technology, such as computer platforms and tools, to help producers make more informed, data-driven decisions. Program participants will be able to share their findings with each other and the broader community via an on-farm ag-tech demonstration network. 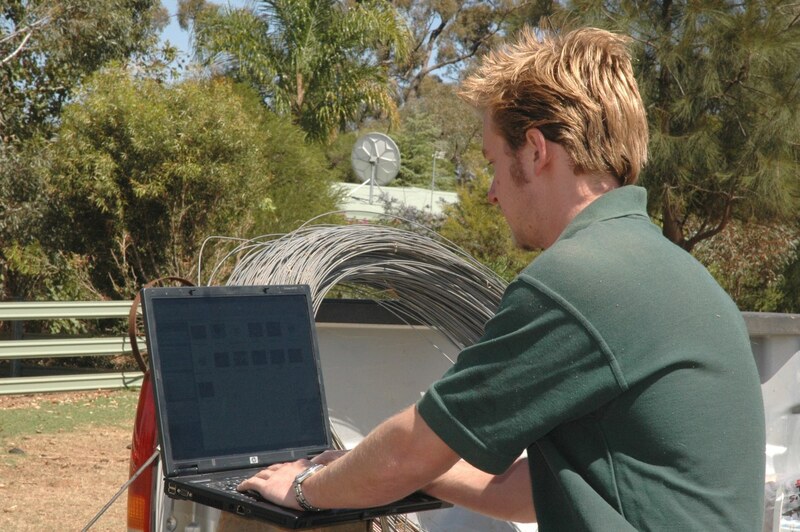 The IoT DecisionAg Grant Program will benefit from the McGowan Government’s recently launched Digital Farm Grant program, which will provide digital connectivity to areas outside the National Broadband Network fixed wireless and fixed line footprint. Applications for WA IoT DecisionAg Grants close on October 5. For more information, click here. Graduates from Australia’s national agrifoodtech program, Cicada GrowLab, have revealed a range of novel tech ideas to help drive future agricultural progress during a recent pitching session. “From cutting-edge artificial intelligence that monitors animal health, to smart plough technology that helps farmers manage their seeding process for optimal yield, and high-tech soil moisture monitoring technology, participants are building advanced science-based technologies that could transform farming practices,” GrowLab program manager George Peppou said. “They’re finding new ways to feed our growing population and maintain our position as a major agricultural producer and importer, even as we face critical shortages of arable land as the world’s driest continent. The biggest challenge for talented agritechnologists and researchers was to move their technologies out of the lab and onto farms and industries, where they can have the most impact. “That is what industry-focused accelerator programs such as GrowLab excel at doing,” Mr Peppou said. The six-month program represents over $250,000 in value for participants and includes a $30,000 cash investment, access to specialised facilities during the program, an extended network of innovators, investors, and mentors. Last year’s pilot GrowLab program produced six different companies with $2.5 million raised to date and 24 employees on-boarded so far. MLA Donor Company is the program’s official partner. BitWoke: Provides cattle farmers with non-invasive tools to precisely monitor and manage livestock on farms. BitWoke improves the management and welfare of livestock across the supply chain by monitoring feeding, infection, heat stress, as well as their access to food and water, all in real time. AreaCrop: A soil moisture monitoring system that provides farmers with real-time data about their paddocks’ moisture content at a fine scale. The company was founded by a team of young agricultural researchers with a passion for providing people with the opportunities to get more out of their land. Sustinent: A vertical farming process in which liquid waste is fed to insects – which are in turn used as high-protein feed for livestock. Insects are a natural source of high quality protein, good fats, minerals, vitamins and easy-to-metabolise energy suitable for a range of animals. They need little land or water and can be harvested year round. Carapac: Produces sustainable and compostable plastic packaging made from crustacean shells and other all-natural ingredients. In comparison to other biodegradable plastics, Carapac is compostable and it releases nutrients through the breakdown process, improving the overall quality of soil health, as well as acting as a slow-release nitrogen fertiliser. Moisture Planting Technology: Smart plough equipment that allows farmers to open up marginal, arid land for cropping. Through tech-enabled planting equipment, Moisture Planting Technologies allows famers to monitor soil profiles in real time so they can achieve more consistent cropping.